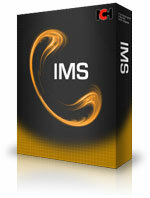 IMS is a sophisticated and professional computer controlled telephone on hold messages and music player that allows real time mixing of messages and music to create an endless on hold presentation. IMS is a computer controlled telephone on hold messages and music player. 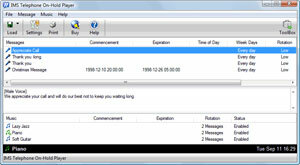 This software mixes and plays messages and music that will play to your callers while they are on-hold or being transferred.